Barcel Mill & Lumber Co.
Barcel Mill and Lumber Co. is a family-owned and operated cottonwood sawmill that started operations in 1948. Specializing in high quality products including pallets, veneer, lumber, landscape mulches, and animal morbidity compost matter, we can help with all your lumber and compost needs. Pricing note: pricing varies based on the product, quantity, and species. 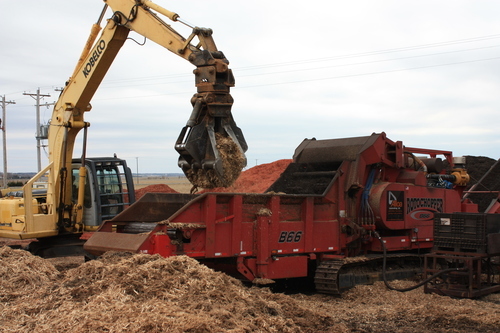 Barcel Mill & Lumber Company started production of landscape mulches in 1990 and in 1996 added color-enhanced mulches and animal morbidity compost. Wood mulch is economical, easy to apply and remove for all your landscaping needs. It isn’t blown around by winds in gardens and lawns like other lightweight mulches. We work at job sites and businesses to reduce wood waste volumes and create usable material. We transform work-site raw materials into premium fiber products. 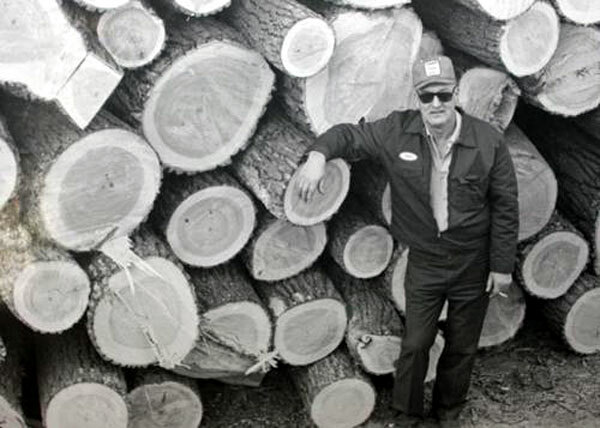 Owner Donald Barcel standing next to a pile of Cottonwood logs his crew cut down. We take the stress out of building and landscape planning. Fresh-cut logs going through processing on our property. Contact us for a free price quote.